With the success of AMSAT’s Fox project, more FM satellites are in the sky, and more are on the way. As a result, many radio amateurs are getting interested in working satellites for the first time. If you are new to FM satellite operating, welcome! While working stations through an FM satellite is fairly easy, there are some operating practices that all operators should follow. Since FM satellites are a shared resource, all operators during a pass need to help keep the passes accessible for as many stations as possible. Many of these guidelines are based around two simple “Golden Rules” of satellite operating: Don’t transmit if you can’t hear the satellite, and operate using full-duplex capabilities if at all possible, meaning you can transmit and receive at the same time. Some radios offer full-duplex capabilities, or you can use two separate radios to achieve this. FM satellites are just like a repeater: only one person may transmit at a time. Since a satellite is overhead for 15 minutes at most, each operator will want to make some contacts. Please don’t monopolize a pass; let your other ham colleagues have some time on the pass as well. It takes a lot of self-discipline, but sometimes the best engagement is to make one single QSO and sit back to listen for the remainder of the pass. Please let other stations complete their QSO before you call another station. It’s very frustrating when you are calling a station to complete a QSO and another station starts a call before your QSO is completed. Calling someone who has just called another station is considered rude. It’s the equivalent of being interrupted; nobody likes being interrupted. If you hear a QSO in progress, please let that QSO finish before you make your own call. There are often times where you will hear stations on a pass that you have already worked several times. If a pass has other callers, please refrain from calling a station you have already made contact with numerous times. If you think about it, there are only so many QSOs that can be made during a given pass. Each QSO that is made between two station that have already contacted each other prevents another QSO from happening, one that might be a new grid square or state for another station, or a station’s first QSO. Please don’t call “CQ Satellite” on an FM satellite. It’s the same as calling CQ on a repeater; you just don’t do it. Generally, it’s better to pick out a station and call them directly. However If you want to announce your presence an FM satellite pass during a pass with low activity, simply give your call and grid (example: “W1ABC FN32”). If you have given your callsign several times and are not getting calls, there may be a problem with your station. Take a break and examine your station before transmitting again. It can be very difficult during a busy pass to hear and understand a callsign correctly. Using standard phonetics will make initial copy of your callsign much easier, which reduces the need for repeated transmissions. This makes each QSO shorter, which make more of the pass available for others. It is not a race. There is no need to give your callsign quickly. It is common for satellite operators to take their equipment with them to portable locations, to transmit from rare grid squares or other DX countries. Courtesy should be extended to these stations; they are providing a rare location to all satellite operators and will be at that location for a limited time. If you hear a station on from a rare grid or DXCC entity, use good judgement before calling stations in more common grids. If the rarer station is working a lot of people on a pass, it may be best to let that station work as many people as possible. There will always be another pass to work more common stations. Info on how to know when rare stations will be on is at the bottom of this list. Generally, 5 watts from an HT and a directional antenna is plenty of power to work an FM satellite from horizon to horizon. Satellites are for everybody, and the satellite community LOVES hearing new calls on the FM birds. Regular satellite operators should pay close attention during a pass; if you hear a callsign that’s new to you, take the time to call them. You may be that station’s first satellite QSO; what an honor! There are several ways satellite operators can stay abreast of operations from rare grids or DXCC entities. 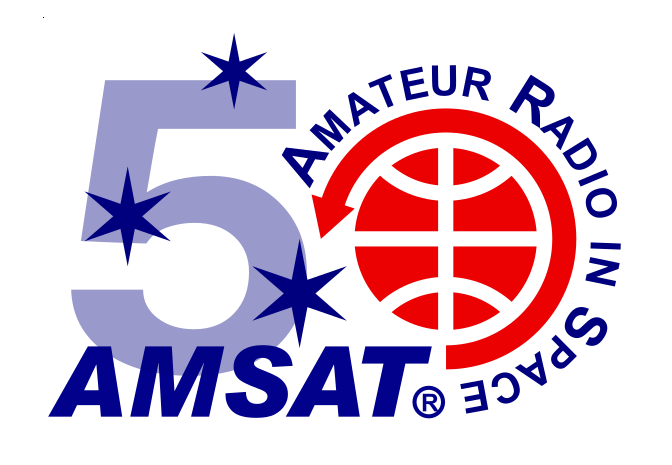 AMSAT’s website has an area for Upcoming Satellite Operations; check this regularly for the latest info. If you’re on Facebook, you can also join the AMSAT-NA Facebook group; many operators post their activity news in the group. It’s also a good place to meet other satellite operators and ask questions if you’re new. Many of the most active satellite operators use Twitter to post their real-time activity. If you’re on Twitter, look for posts that tag @AMSAT or use the hash tag #AMSAT. You will quickly see who the frequent posters are; be sure to follow them for the latest info on where they will be operating from. If you’re not interested in social media, you can subscribe to the AMSAT email reflector or the AMSAT Weekly News Bulletin, which features an area highlighting upcoming operations. Lastly, you can always listen to a pass. If a lot of people are calling a specific station, that’s a good indicator they are at a rare location. This is especially important at the beginning or ending of a pass, when the satellite’s footprint is more likely to include DX stations. We hope that these guidelines provide a way for all satellite users to cooperate and share each pass. We want you to work lots of stations and have fun, but not in a way that prevents others from having a good time on the satellites, too. Be neighborly and a good steward of the satellites, and we can all have fun for a long time.